AN INDEPENDENT hot dog restaurant is expanding and taking over a new premises – this time specialising in burgers. James and Echo Stone, along with sister Joanna, opened Bangerz ‘n’ Brewz in Victoria Road South, Southsea, in November. 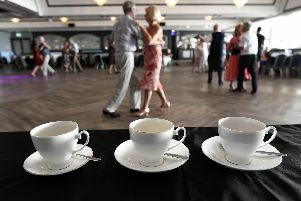 The trio, who all grew up in Portsmouth, say the response has been so overwhelming that they have already decided to take over another premises in Southsea – in a location soon to be announced. They plan to open Burgerz ‘n’ Brewz in May, creating 15 jobs. James said: ‘It is going so well at the moment. We have decided to take over another shop in Southsea. ‘It will be a similar kind of concept, with the same look and feel, but we will be doing burgers instead of hot dogs. James said they have been hard at work creating the new menu – and will be releasing teasers on social media on Wednesday. 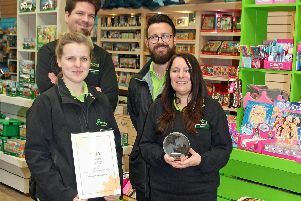 Garden centre in Titchfield picks up top honour... for its toys!